Today, we are very excited to announce the launch of the new Prolinx website. 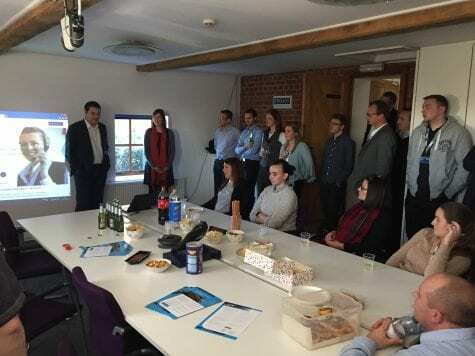 To mark the occasion, we held a launch party for staff at our office in Great Milton. The redesign followed on from feedback from both staff and customers and we are pleased to be able to deliver this before the end of the year. We have worked on a clearer layout at the top with more detail on each of our services and the different sectors we work with. Over the coming months, we will be adding to our case studies and you can keep up to date with our latest news by following us on Twitter. Ever thought of joining Prolinx? Check out our Careers page for current vacancies.